The industry’s most prominent licencing jurisdiction, the Kahnawá:ke Gaming Commission and the industry’s independent player assurance organisation eCOGRA have agreed to work together to ensure that player protection measures such as fair gaming and disputes resolution are consistently applied across companies operating under their rules. Subject to certain conditions, the Commission agrees that operators using software supplied by eCOGRA members, and that is subject to eCOGRA’s Generally Accepted Practices (eGAPs) and testing methodologies, will not be required to submit to review and monitoring processes that the Commission employs for other applicants and operators. The Commission will continue to use its own methodologies in conducting due diligence investigations on all applicants to determine their suitability as Kahnawá:ke licensees. There will be more cooperation between the two bodies on player disputes to ensure that these are heard fairly, independently and within a reasonable timeframe. The agreement will apply to a wide range of online gambling casinos and poker rooms, comprising a significant proportion of the available industry business. Kahnawá:ke numbers approximately 300 online gambling sites as licensees, and there are 56 major Internet venues carrying the eCOGRA “Play It Safe” seal. In recent meetings, eCOGRA directors and top independent specialists from eCOGRA’s Audit Panel gave detailed presentations to the Commission members and their advisors and technicians, on the software development and maintenance environments at eCOGRA’s software supplier members and the Total Gaming Transaction Review (TGTR) process. 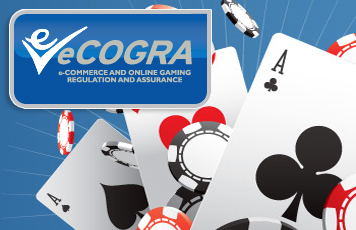 TGTR is used by eCOGRA to assess the acceptability, fairness and integrity of gaming software on an ongoing basis in preference to source code certification which is more suited to the land-based gaming environment. Commission officials examined the process in detail, together with the eGAPs required of seal operators in day to day business activity in the accounting, marketing, customer care and disputes resolution disciplines. The briefings are the culmination of three years of meetings and discussions between the parties to determine whether their respective philosophies, standards and methodologies were compatible. As a result, the members of the Commission have agreed that the relevant principles of eGAP, and the methodologies that are used to implement those principles, are comparable to the Commission’s strict standards for reviewing and monitoring online gaming software and systems and are therefore deemed suitable for this purpose. Murray Marshall, legal counsel to the Commission said that it is agreed that representatives of the Commission and eCOGRA will liaise and communicate on a regular basis to ensure the relationship between the parties is working well. The CEO of eCOGRA, Andrew Beveridge said he was pleased that the Commission had approved of the testing procedures and operating standards that his organisation had introduced for the “Play It Safe” seal operations. “eCOGRA is keen to interact with any jurisdiction that shares our values and we regard this closer relationship with the Commission as a significant step toward consistent regulation for safer gambling,” he said.